Flat design is currently very trendy: With its clean style, incorporating minimalistic shapes and powerful colors, flat design offers attractive design options especially for PowerPoint presentations. As we have developed a passion for this style we have created PowerPoint templates on various business topics for you. In 2012 Microsoft has introduced flat design graphics with the graphical user interface Windows 8: Minimalistic design got fashionable. Since then flat design is used as software UI but also to illustrate articles in print and online magazines. 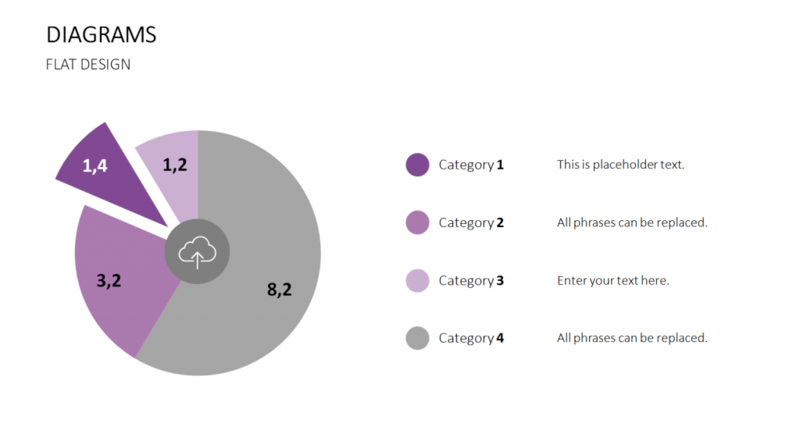 Flat design is also popular for info graphics, web design and advertising. 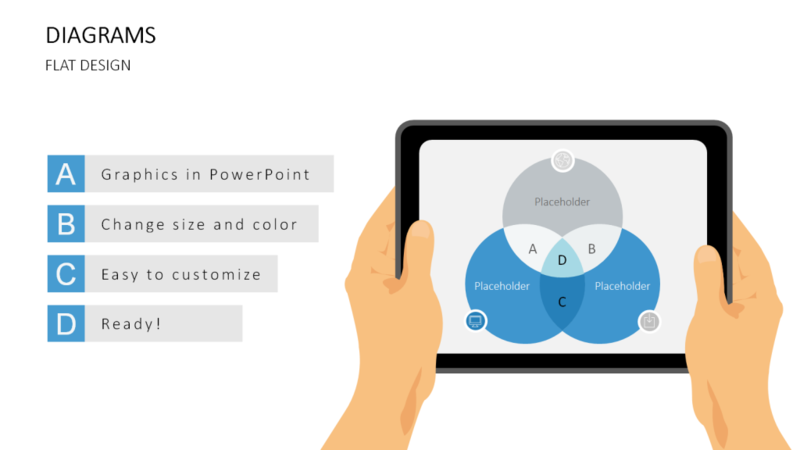 Flat design graphics help to create modern and stylish PowerPoint presentations. 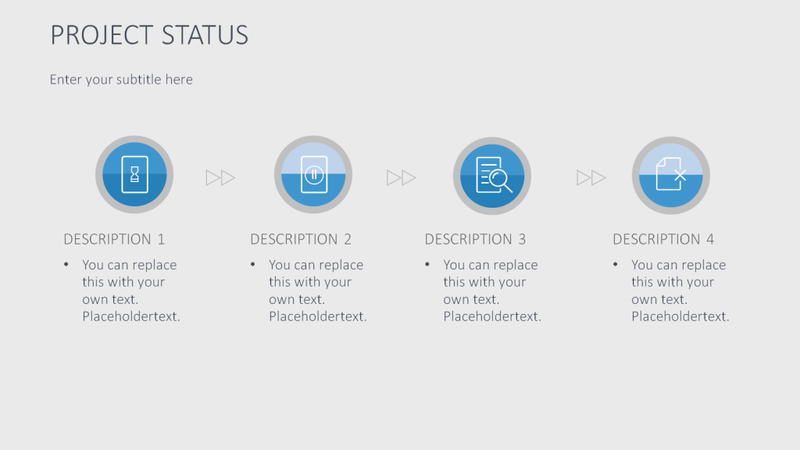 For your next presentation use minimalistic graphical elements. You have a whole lot of new opportunities to illustrate facts and figures. Fine lines and reduced design make it a real highlight to clearly convey your message. 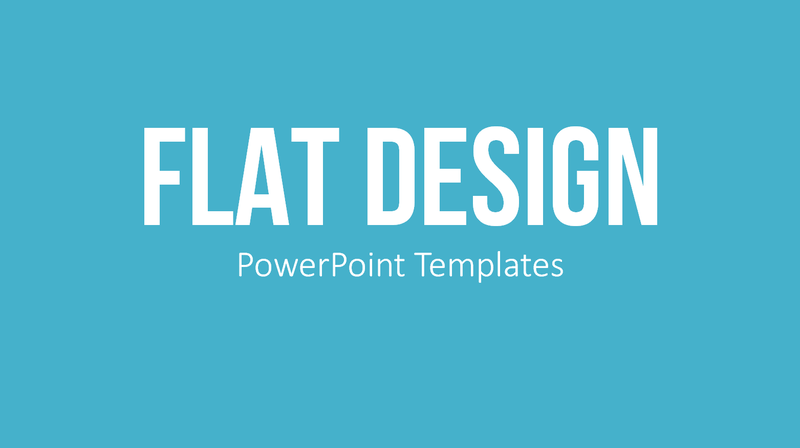 Our online shop offers 10 different sets with flat design PowerPoint templates. They are ideal for business or academic presentations. Images included are hands, charts, tile graphics, icons, texts with Long Shadow effect, office images, mobile devices and computers. Easy and convenient template handling are important to us. Thus, we have grouped single elements on a slide to easily regroup color or enlarge them. Some templates offer a huge variety of icons with everyday work images. As a graphical representation it is very effective to use digital signage software for all business. wow it is a good example for us to make an improvement in presentation!